Indianapolis, Flo Silver Books, 1992, reprint of the first edition of 1899 with a new introduction by James Andrews., 1992. 8vo; 289 pp, numerous plates and illus, 21 maps and plans, including many full-page and one large folding inserted loose as issued, index. 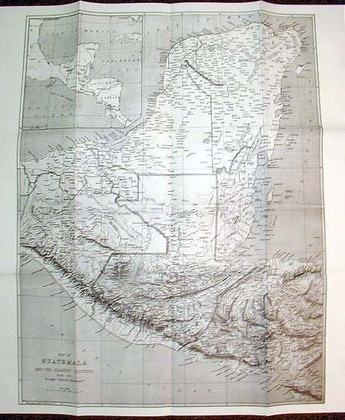 Early narrative of the Maudslay's early travels in the Guatemala highlands and the Maya lowlands. The work is 'the highlight of the 19th century English accounts of Guatemala, both from the archaeological point of view, and that of travel and adventure. Rare and out of print.